Price: $69 per person regular price. This program is in a public area. Observers are allowed. Participants are required to kneel down in the water on their knees during the program. No cameras or cell phones are allowed for observers or participants. 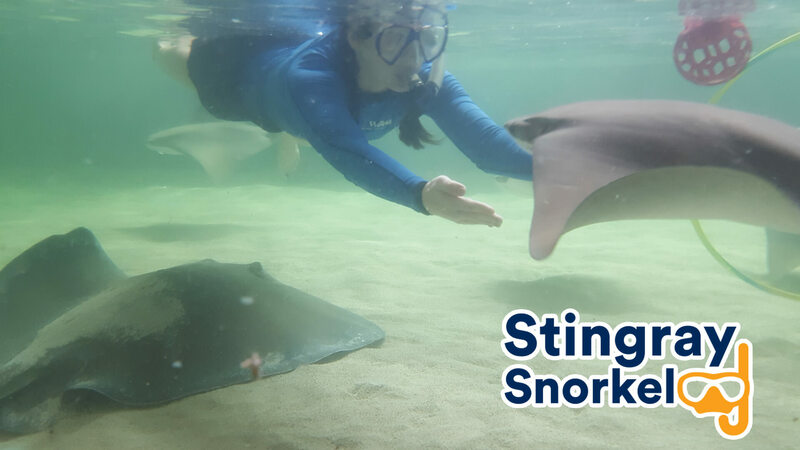 The stingray snorkel program allows guests to snorkel alongside two species of stingrays, Cownose and Southern. 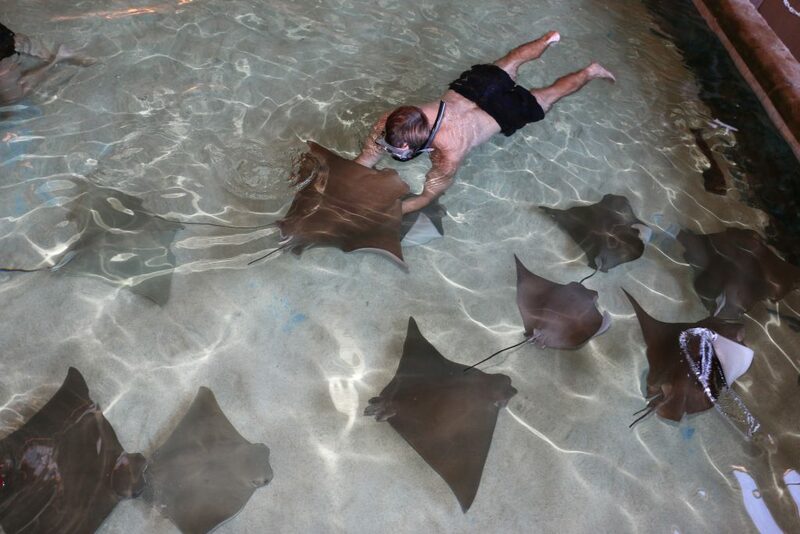 Enter the pool where you can kneel down in the water to touch, feed and interact with these graceful creatures in our new 20,000 gallon indoor habitat. Learn about how stingrays eat, live in the ocean and become acquainted with two species of stingrays, Cownose and Southern. Kiss, cradle, hug, feeding, playing with enrichment toys and free snorkel time. An all-day admission to Gulf World is included with your interactive program. Please set aside extra time to explore the park.